The Frenchman has failed to live up to expectations since joining from Monaco and he is having a medical for the Rossoneri today. 23-year-old Bakayoko has one cap for France. TIEMOUE BAKAYOKO IS having a medical at AC Milan today ahead of his proposed move from Chelsea. The 23-year-old attended the Rossoneri’s La Madonnina clinic and is expected to sign a contract with the club once the checks are completed. He made 24 starts in the top flight but only nine of those came after the turn of the year, with the last of his three goals for the club coming against Huddersfield Town in December. 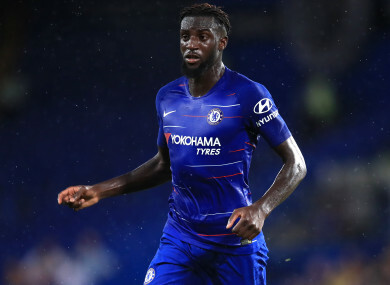 With Jorginho and Mateo Kovacic arriving in the transfer window, Bakayoko has been deemed surplus to requirements by new head coach Maurizio Sarri, and he was not in the squad for the 3-0 win at Huddersfield last Saturday. Email “Chelsea midfielder Bakayoko arrives in Italy ahead of Milan move ”. Feedback on “Chelsea midfielder Bakayoko arrives in Italy ahead of Milan move ”.